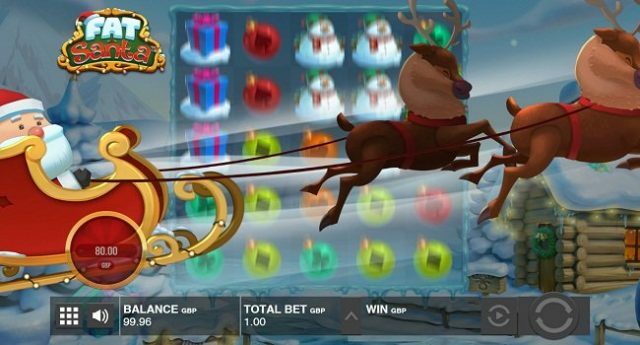 Fat Santa is a new online video slot game powered by Push Gaming for which reels are 5 and Paylines( ways of winning) are 50. Fat Santa mobile slot is a Christmas themed slot game which has many bonus offers. The slot is playable at devices like mobile phones, desktop and tablets with coin sizes of 25p per spin to up to €£25 per spin. Play at Casumo casino or Leocasino. The slot offers a maximum win of 6,405 times of your total stake. The game has plenty of bonus offers/rounds for you. Like the first bonus round is the Free spin feature which could get you many free spins. The game also contains extra wilds, Free spins, Mega wilds and Buy theater. Fat Santa video slot is a little cartoony kind of game which has everything that you might need while gambling. This is just like Jingle spin slot and Merry Xmas slot powered by Play’n Go. Wilds- the Christmas pie is the wild symbol in this game which replaces all other symbols on your screen. The wild appears in the base game. Fat Santa Sleigh: during this feature St Nick and his reindeers will pop-up on your screen and will drop 2 to 5 extra wild symbols on the grid. Fat Santa Free Spins: You will get 5 free spins if you land Santa symbol and just one wild on your reels. This slot is based on a festive theme and is little cartoony with a very attractive playing environment and sound track. The game comes in with 5×5 grid with 50 Paylines on the mobile phones. Play this awesome slot using your phones or tablets at any of the below casinos.